Enjoy the top 1 famous quotes, sayings and quotations by Amit Priyavadan Mehta. 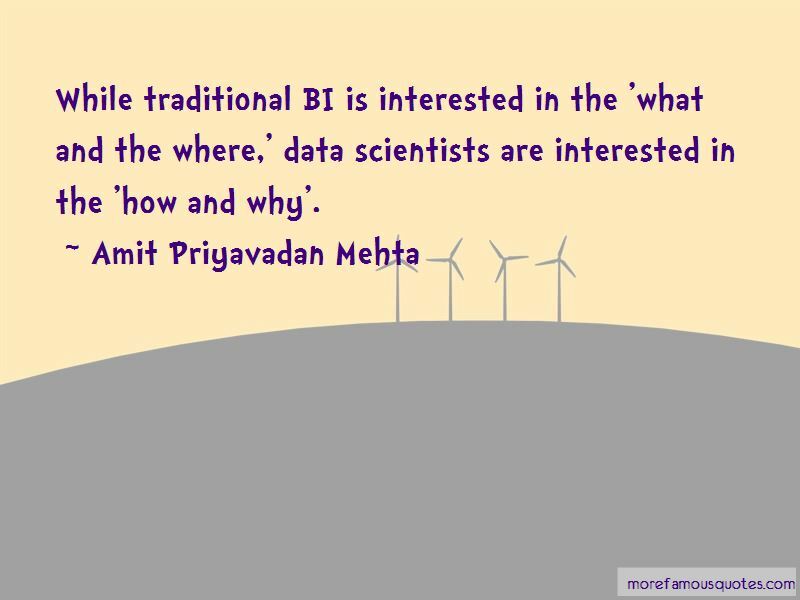 While traditional BI is interested in the 'what and the where,' data scientists are interested in the 'how and why'. Want to see more pictures of Amit Priyavadan Mehta quotes? Click on image of Amit Priyavadan Mehta quotes to view full size.